Rae Young makes the choice to take the deed to Grandfather Lapeer’s farm in Arkansas rather than follow the expected path for young women and marry. Her father sold the house they lived in planning to move him and Momma to her brother’s house leaving Rae out in the cold, so to speak.When Momma found the forgotten deed, Rae saw it as a sign that she should venture out on her own. Taking a team of horses, a filled wagon, all her worldly possessions including her packs of flower and vegetable seeds, Rae boarded the train that would take her to Mosses, Arkansas.The thought of starting with an established ranch gave her the courage to step out on her own. That is, until she overheard conversations on the train as she got closer to Arkansas. The town of Northpoint struggled after the silver mine dried up and when a tornado flattened most of the town a few years earlier, everyone gave up and left.Rae faced giving up, or becoming a true pioneer. She didn’t even know if she had a house to live in. Being strong and young, Rae determined to weather the storm herself. She had help along the way from two high school boys from the town of Mosses, six to eight hours away. Their main interest was in salvaging usable products from the deserted town of Northpoint. 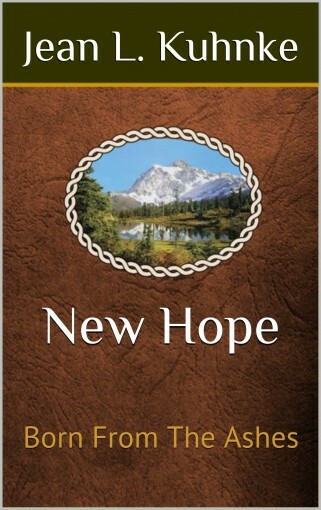 Rae made working in the town exciting and the boys soon invited their friends to help clean up the debris in the town.Starting with one resident in the town, and two young men on the weekends, they renamed the town New Hope.